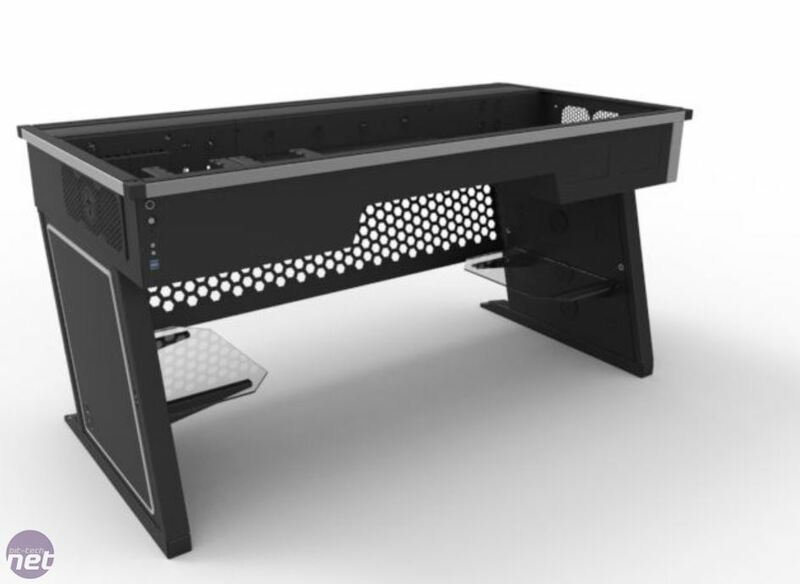 UK etailer Scan has today announced that it is offering exclusive UK pre-orders of Red Harbinger's Cross Desk. 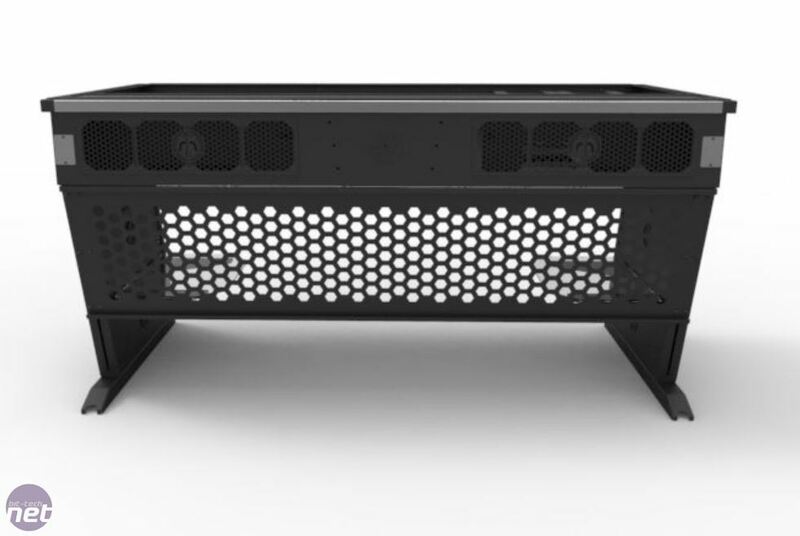 We reported last month that the case would be available direct from Red Harbinger albeit for a slightly eye-watering £1,350 once you've factored in shipping. However, it has now disappeared from that site and has popped up on Scan. The current due date is, sadly, 6th January 2014, so there's unlikely to be any large, extremely heavy and flat presents under your Christmas tree. 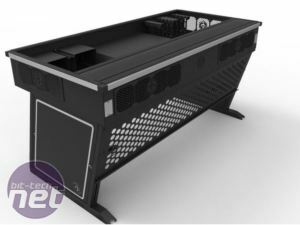 However, Scan is currently offering this exquisite PC case for £100 less than the previously quoted price, asking £1,250 with free shipping on your entire order. 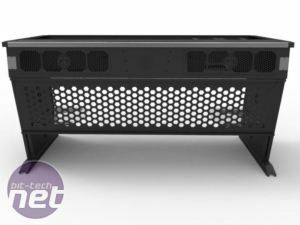 It will also be offering Cross Desk-based systems under its 3XS branding too in the future. 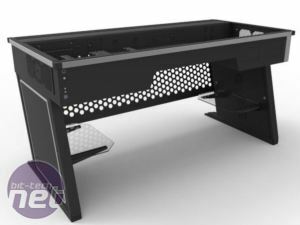 The Cross Desk is inspired by forum user l3p - aka Peter Brands' Mod of the Year-winning desk PC project L3p D3sk, which featured a radiator mounted under the floorboards of his house for chilly coolant temperatures and stunning UV green interior. 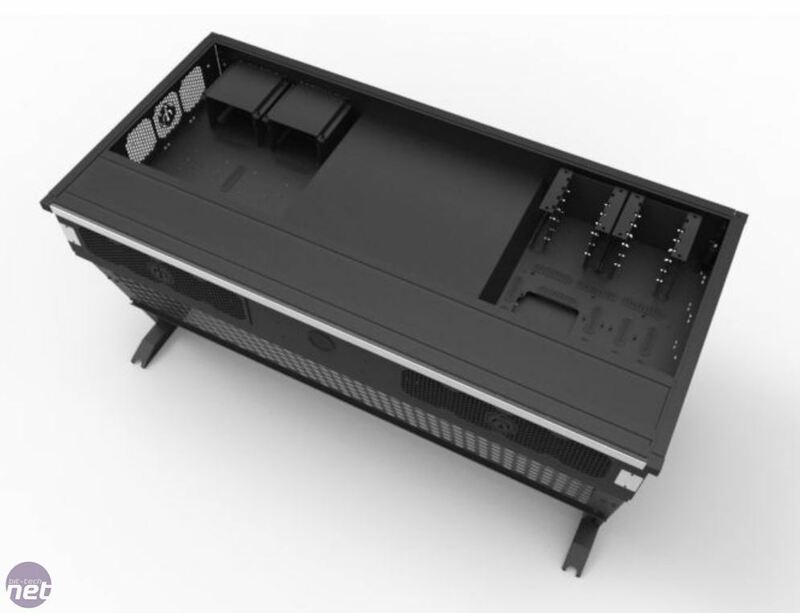 Peter teamed up with several other people at Red Harbinger to create a case that could be manufactured and built easily, but still have the same water-cooling prowess as the original L3p project. 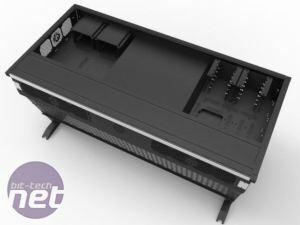 It's undoubtedly a large sum for a PC case, but if you factor in the cost of a case such as the Corsair Obsidian 900D or SilverStone TJ11 plus a decent desk, you'll likely be looking at close to half the cost already. 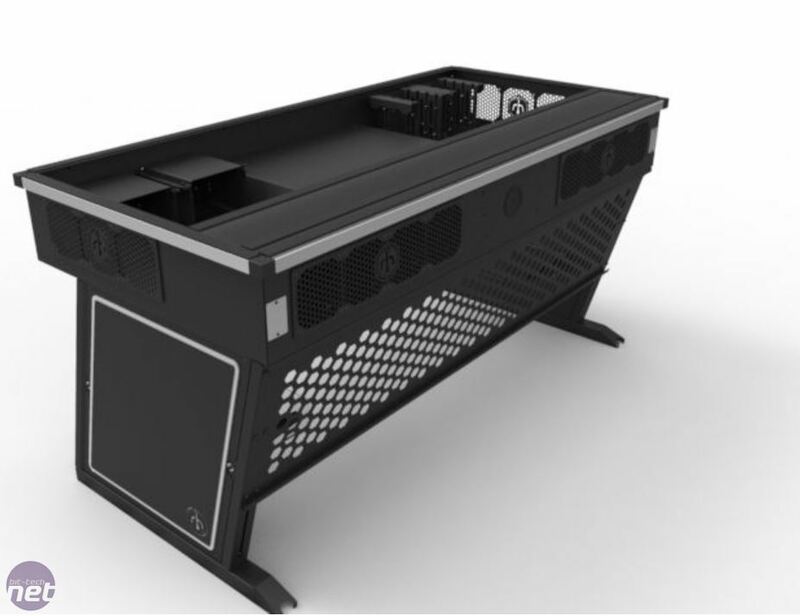 Will you be investing in the Cross Desk? Let us know in the forum.